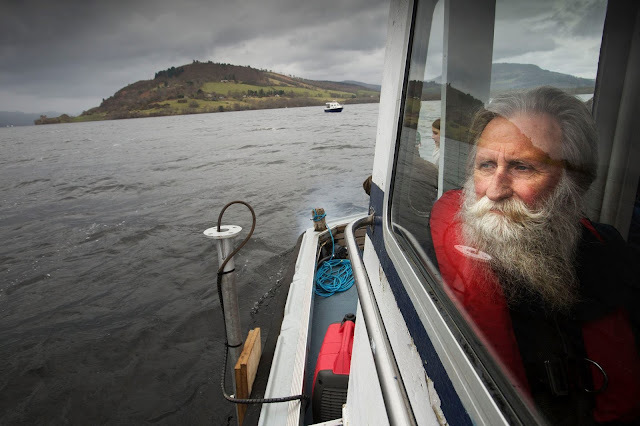 This moody photo of Adrian Shine searching for a film prop of the Loch Ness monster makes me really want to go back to Scotland. We haven't been to Europe in five years, since we were in France and Italy for New Years. We're going to spend our summer vacation in New England, camping somewhere on the coast and then attending a friend's wedding in Vermont. But perhaps next year our big trip will be something a bit further afield, and we'll make it to Great Britain. By then, it'll have been a decade since I was there last.